LADIES NIGHT at Toro: Now THAT was a night! Thanks to all of you who joined us last night for LADIES NIGHT at Toro, our St-Germain sponsored toast to Women’s History Month! The evening was, quite literally, a smashing success. From 9:30 on, Toro was packed with people there to raise a glass in honor of Women’s History Month. Our guests rocked the raffle and we raised almost $800 in ticket sales. As for specialty cocktail sales we’re still counting our change, but by 10:30 p.m. last night we’d raised about $1,000 on drinks alone!!! We’ll pass along the final numbers once they’re in. All of this paper will be donated to The Friends Boutique at the Dana Farber Cancer Institute. There’s still one more evening left of Women’s History Month. If you’d like to raise a glass in honor of women in history — and women making history — this rainy Monday evening, why not raise one of these? They sure were a hit last night. Add a lemon twist, tres delice! All ten ladies of LUPEC with staff photographer, Matt Demers in the middle. Cin-cin! LUPEC Boston is throwing a party-fundraiser this Sunday so come on down! Beer, to name a few. If that’s not enough you can jump aboard for the raffle – which includes dinners & goods from Oleana, Tremont 647, No. 9 Park, the Independent, Martignetti Fine Wine & Spirits and more. This charity was chosen with our friends & relatives in mind who have themselves battled cancer. Last fall LUPEC Boston partnered with Jane Doe Inc., the Massachusetts Coalition Against Sexual Assault and Domestic Violence and raised more than $10,000 in donations through fundraising initiatives such as a “This One’s for the Ladies” drink promotion and the “LUPEC Boston Tea Party” benefit event. We hope to make LADIES NIGHT, as well, a success. Looking forward to seeing all of you Sunday! …can be enjoyed at Green Street this Easter Sunday, where LUPEC President Hanky Panky has put together a special Egg Drink List in honor of the holiday. This important ingredient of many, many classics like fizzes and flips has fallen out of misuse in the age of the Cosmo. Cocktail enthusiasts across the country are helping the mighty egg make a comeback by incorporating egg-based classics and modern vintage egg originals into their menus. 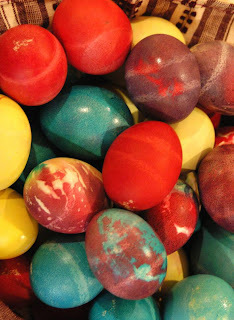 The Egg Drink List offered at Green Street tomorrow evening will be a perfect opportunity to give eggs a shot. The menu will include original creations, like the Fort Washington Flip, The Brewster Sour, a variation on the Pisco Sour featuring St-Germain, and of course, the irrepressible Pink Lady. You can move on to these! 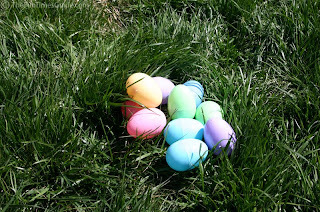 Consider it a grown-up Easter Egg Hunt! …This was the standard greeting you’d likely receive from the jovial, peroxide blonde manning the house at one of several Manhattan speakeasies during Prohibition. Of course, this would foreshadow the spending of all your dough, on illegal hooch and tips for the showgirls. You’d happily fork over $25 (back then no chump change) for a fifth of Scotch, or $2 for a pitcher of water if you brought your own “booster”, and whatever else followed. The place would probably be packed, open a few hours later than all the rest, and the wisecracking, witty pal of Mae West named Texas Guinan would be seeing to it you were having a darned good time. Before being seduced into the world of club ownership through bartending and guest emceeing, Texas started out in Vaudville, then in Westerns as an actress and producer. 1917’s The Wildcat introduced America’s first movie cowgirl. Her nite club career included “the grandaddy of speakeasies,” the El Fey Club, opened in 1924 with gangster Larry Fey. Later came Club Intime, a Dorothy Parker hangout and subterranean spot near Times Square where entry would involve a steep staircase, two bouncers and a peephole. There was also the Rendezvous, the 300 Club, the Argonaut, the Century, the Salon Royal, and Tex Guinan’s. Infamous for being hauled off to the pokey on a regular basis and having her joints shut down by Feds, Texas enjoyed having the band strikeup “The Prisoner’s Song” on her way out the door. And always would she deny selling anything but “mixers” to at her clubs, noting “a man could get hurt falling off a bar stool!” Re-opening after raids, she would sometimes wear a necklace of gold padlocks just to show the cops there were no hard feelings. She worked tirelessly until age 49, when she was stricken by illness and passed away. 12,000 attended her 1933 funeral procession in Manhattan, and a month later to the day of her death, Prohibition was repealed. Looks like a Women’s History Month toast is in store for this gal! Charlotte Smith and the "Lady Edisons"
“Mary S.” of St. Louis, Missouri (c. 1851-1880) was an inventor who led a life of genius and poverty. Lacking finances and confidence, she sold the rights to her mechanical inventions to various male agents, for as little as $5 each. These men received 53 patents, and a great deal of wealth. Mary S. herself died impoverished at roughly age 30. 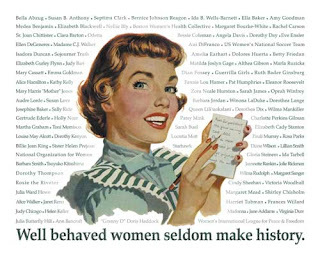 Thanks to the list, we know that nearly 4,000 women received U.S. patents between 1809 and 1895—more than 5,000 if design patents are counted. One of the era’s most prolific female inventors was Margaret Knight of Boston (1838-1914). She is credited with about 90 inventions and 22 patents, the most famous of which was the first machine to make the square-bottomed paper bags that are still used in grocery stores today. In the late 1890s, Smith moved to Boston, where she founded a Women’s Rescue League to provide shelter, food, and training for poor working girls, homeless or battered women, and prostitutes wanting to leave the trade. In 1907, she organized a Woman’s Board of Trade. After spending thousands of dollars on projects to help women become self-supporting, and years of direct charity to homeless and desperate women, Smith died alone in Boston in 1917. She was seventy-seven. Shake brandy, Campari and lemon juice with ice. Strain into a cocktail glass. March is Women’s History Month and the ladies of LUPEC Boston could not be more thrilled! Thru March 31st we’ll be offering you as many reasons to raise a glass to unsung women in history as this group of ambitious, classic cocktail-obsessed broads can cobble together…while maintaining our full-time jobs and going about the general day-to-day business of dismantling the patriarchy one drink at a time, that is. Get your cocktail shakers primed! Let’s start the month off with a Liberty Cocktail, in honor of each and every one of the women we’ll celebrate in the month to come…and ambitious women everywhere! Stir with ice and strain. Serve in a cocktail glass.